Post Modern Marketing is a digital marketing agency specializing in web design, SEO, PPC and social media. We love working with local businesses in achieving a positive ROI on their marketing efforts, and hold ourselves accountable to meeting deadlines, budgets and goals. Our clients usually stay clients for life - contact us to find out why! We focus on not only great looking projects and campaigns, but ones that meet your goals. We look at targeting your customer, whether the end result is leads, sales or awareness. All of our work is also performed in our office - no outsourcing. We believe in accountabilty and quality work. What Makes a PMM Web Design Different? 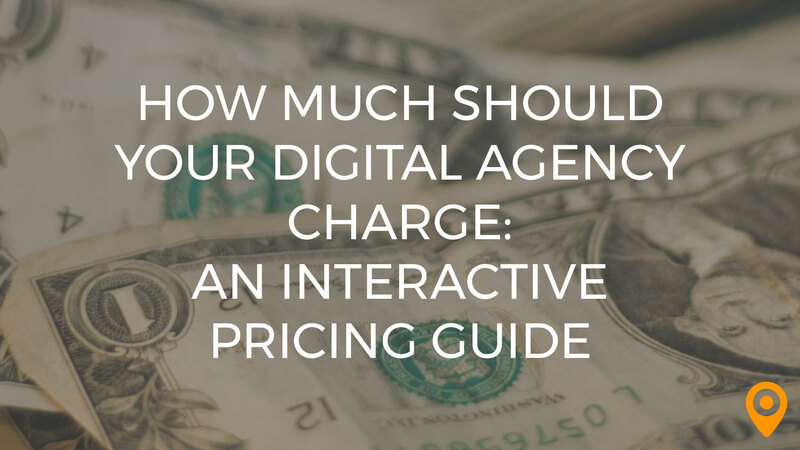 When it comes to pricing in the marketing industry, there's no baseline. Learn how to properly price your services in our latest guest post! Their ability to design is fantastic. If you are looking for something clean, well thought out, and aesthetically-pleasing, they can certainly deliver. As with most organizations, some team members were more helpful than others. In their defense, however, when there were issues, they were quick to rectify those problems and pair us with other team members that matched our needs better. Post Modern Marketing delivered a fantastic product, and at the end of the day, that is what we were looking for. The process of getting to our final product was not as straightforward as I would have hoped, but the way that Post MM handled those bumps is what left me with such a positive impression. Josh specifically went out of his way a number of times to make sure that the level of care and service we received were in line with what was promised. Props to Josh and his team for finishing strong, and giving us a strong, functional, aesthetically-pleasing website that is still going strong a year later! Post Modern Marketing has great innovative ideas!!! Had a great experience with Post Modern Marketing. Always responsive and provided services on budget, timely, and professional. The outside entities for paid ads can become expensive and have increased in cost. PMM is an incredibly professional and talented team that worked closely with us to produce a new website for us. Our online presence includes a significant amount of contact representing decades of work and PMM did an excellent job in developing a professional, accessible, and sophisticated site. I have no complaints at all. PMM did an outstanding job. Working with PMM was an absolute pleasure. They were professional, responsive, talented, and courteous throughout the entire process. We are very happy with the results and strongly recommend them to anyone considering a professional website design firm. Working with Josh was easy, he is available and helpful. Our experience was great I can't think of anything I didn't like. Josh and his team did an amazing job on Wind Youth Services' website. Our old site was definitely outdated. Josh gave it a great new look as well as suggestions on how to message our goals. They actually care. I regularly have them call me out-of-the-blue just to give me updates on our site. I know they have dozens of other clients, but they still take the time to call and check in with us, which gives us a lot of faith in PMM. We would highly recommend them. They are just busy. Projects take a little while longer than we hope, but they always get done well. We just have to get in line, but that's ok because we believe in them and appreciate their hard work. We are very happy with PMM and will use them again in the future. In fact, it seems like every quarter we have a new project for them. Everything! Even the energy in the office is positive. You can tell they love working there and more importantly, they truly care about their clients. That I can't put my desk in their office. :) Such a great team full of talent! Fantastic! Truly a delight partnering with this firm. The team at Post Modern are on the cutting edge of marketing trends and really know their stuff! They are responsive, prompt, great communicators, excellent listeners, worth every penny and fun to work with! The long tail I have for my content marketing is amazing! Last week I received two leads from Europe and one from Thailand who found my website through internet searching. I miss Chris, the founder, a little bit. He moved on, but the business is as incredible as ever. When I first reached out to Post Modern Marketing, the company was one guy, Chris, and some freelancers. Over time, he built up a pretty intense staff and expanded into content marketing, pay per click and probably a dozen other services I have not yet utilized. The company grew with my business, which was really helpful. As my marketing needs expanded, PMM expanded to help. My experience has been wonderful, ROI is great with the program, and you are welcome to see my website as a sample of PMM's work: www.obrienpatents.com. The PMM team is very professional, responsive and attentive. It was a joy to work with them. Josh, Emily and team are fantastic. I really don't have any complaints about their service. PMM is very easy to work with. Emily, Josh, and Isabel are friendly and knowledgeable. Our company has been working with them for a couple of years and we have had a great experience. Our website is beautiful and represents our company perfectly. We have had no issues with PMM. We continue to use them currently. We would highly recommend PMM. They have done well by us! PMM has shown to have great communication and have timeliness as a priority. Thier design services for websites, advertising campaigns and general support items exceeded my expecations. At this time I cannot thing of anything that has not gone smoothly. Any time even a small concern is presented it is addressed immediately. The PMM Team looks out for the best interest of thier customers. Josh is very open to speak to about and concern and will rework a contract to best fit the customers needs, he is genuine person. Our website redesign brought us into this century and the additions of a blog forum are proving to be information to our customer base. I would recommend PMM to anyone in any industry. I honestly don't have anything to put here. Everything we needed PMM for, they overdelivered! I wanted to say a HUGE thank you to Josh, Emily, and the rest of the Post Modern Marketing team for bringing our website out of the stone age of the 20th century and giving us something that we can be proud to put on all of our marketing materials, as well as use to actually provide useful information to clients and the community. I can't recommend PMM enough--thank you for your ongoing support! PMM has help us significantly improve our SEO rankings. Josh's guidance and time has made all the difference in our organic search results! Things went well. Good response times, and our account manager was always available. SEO improvements take time, but that is always the case. We now rank top 5 in most of our key word searches. No comment. We have been very satisfied with PMM services. Wildlife Heritage Foundation is pleased with the website services that PMM provides. Recommend Post Modern Marketing for your business marketing needs. If you are feverishly looking for the best of internet packaging for your business, PMM is it! They blend the highest level of professionalism with a very personalized approach to understanding your business. We have been with them for 2 years and the entire team continually makes creative, challenging promises to us and over delivers! They have mad skills and are such a big part of our business success! This is not a dealbreaker but... They will not let us take Chewie home (the company dog-mascot). :-( He is so cute and therapeutic! Josh and the gang... What an extraodinary find! I previously had the opportunity to build a website with the help of website consultants for my own company, but wanted to take this experience to the next higher level: We wanted it customized as well as turn key! Most importantly, we wanted to get the most out of our internet presence - and they amazingly exceeded all of our expectations! When we started interviewing ALL of the local talent, PMM stood out in more ways than I imagined, and the staff has only impressed me more with time; We have been with them for two years and their fine tuning is working better than we had dreamed for. They knew how to build our business into a thriving web presence that reflects the best of our company, and connects us with more clients that we literally can handle! Thank you Josh, Emily, Katya, John, Joseph, Amy, Alexander, Mike, Isabel, Vanessa (and Chewie too)! The team did an amazing job on our website - lots of blogs with great content. Got us to be the #1 result on a bunch of searches and generates us leads every day. My experience was great. I honestly can't think of anything negative to say. Awesome - everyone who worked on our project was attentive, professional, and reliable. We got great results. I even had friends contacting me impressed because they'd search on Google and my site was the first result. Total delivered for me.